What distinguishes African American culture is also what unites it with the other ethnicities that comprise American culture: being at once distinctly American and decidedly different. 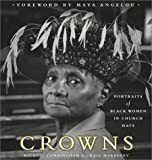 The books on this list — all nonfiction and authored by African Americans — spotlight these two divergent aspects of African American life, via photos and/or prose. The centenarian Delaney sisters of New York (by way of North Carolina) speak in the cadences of their southern heritage and with the eloquence of a bygone era as they reflect on their own lives during the late 19th through 20th centuries. Equal parts humor and dignity, this book is both a celebration of one African American family’s life (and its intersection with well-known people) and a treatise on U. S. social discourse. Fascinating! A lovely compilation of several people’s reminiscences, this book honors black parents — their words of wisdom, their sacrifices, and their innumerable other contributions to the accomplishments of their now middle and upper-middle class offspring. In short, this book very movingly says thank you. Savoring the commonalities of the middle-class black experience across regions and over time, this beautiful depiction in words and photography elevates these experiences to homage. Whether this book offers you a nostalgic return to your youth or a discovery of formerly unknown cultural treasures, it’s worth reading again and again. Before I made this list, I was unaware that this book had become a collector’s item, though I nonetheless understand precisely why. Roy De Carava’s stunning black and white photos juxtaposed with the venerable Langston Hughes’s colloquial words provide a visual and verbal history of Harlem that is both raw and refined. Wonderful, sepia-toned photographs of children are accompanied by delightful, sometimes childlike verse in this beautiful book. Angels, indeed! It’s virtually impossible to visit an African American church and miss the flamboyant blend of personal style and tradition that have given hats their special place of honor among the women in the congregation. Giving the chapeau its due, Marberry writes the stories of black women’s hats as told by the wearers portrayed in Cunningham’s splendid black and white photos. These hats have lived! I’m an educator, a writer and, of course, an avid reader. And, I guess it goes without saying that I enjoy talking about the books I read (although I’ve just said it!). You can read other things that I say at my website.